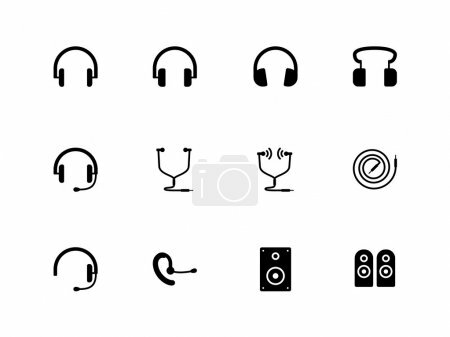 Headphones and speakers icons on white background. Headphones and speakers icons on white background. Vector illustration.